How common are they? ive seen them before. Does anyone have pictures? Young ones ocasionally turn up in neighborhoods here in San Jose. One killed several sheep next to the place that I kennel my dog. Some folks actually saw one mid day sitting on a trail about 20 minutes before they passed us heading back. I think the main reason they're not seen more is that they'll hunt deer late afternoon and evening and eat the kill during the night. I have seen a few. Mostly signs of them though. 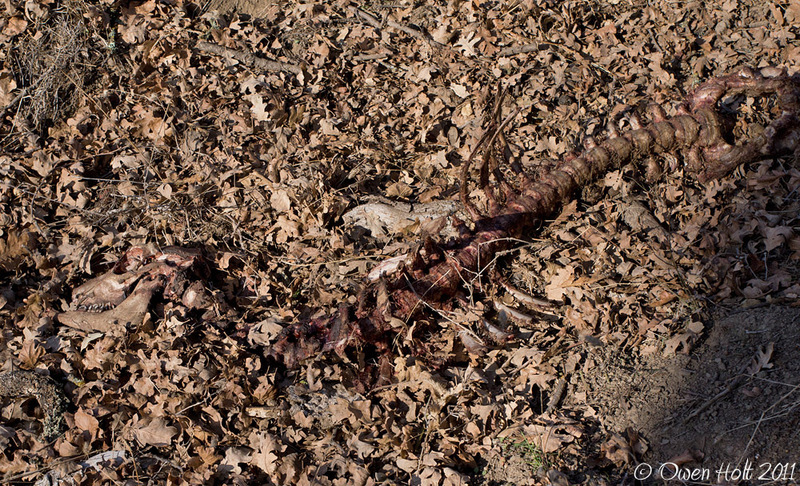 iv'e found several mutilated dead deer. And i know a area where the cougar spends almost all his time at. Iv'e never seen this cougar though. I know its there because me and my friend were on his quad and we were driving to remote areas looking for snakes and we checked out this canyon and there is a oak forest in there, like 100 trees. well anyways we went back the next day and there was Cat prints on our quad tracks. Haha isn't it a bit of stretch to say you know where he spends (almost) all his time based on seeing tracks once? we checked out this canyon and there is a oak forest in there, like 100 trees. Well considering that a mountain lions range is like 100s of square kilometers (on the low side), I don't think like a 100 trees are going to cut it. 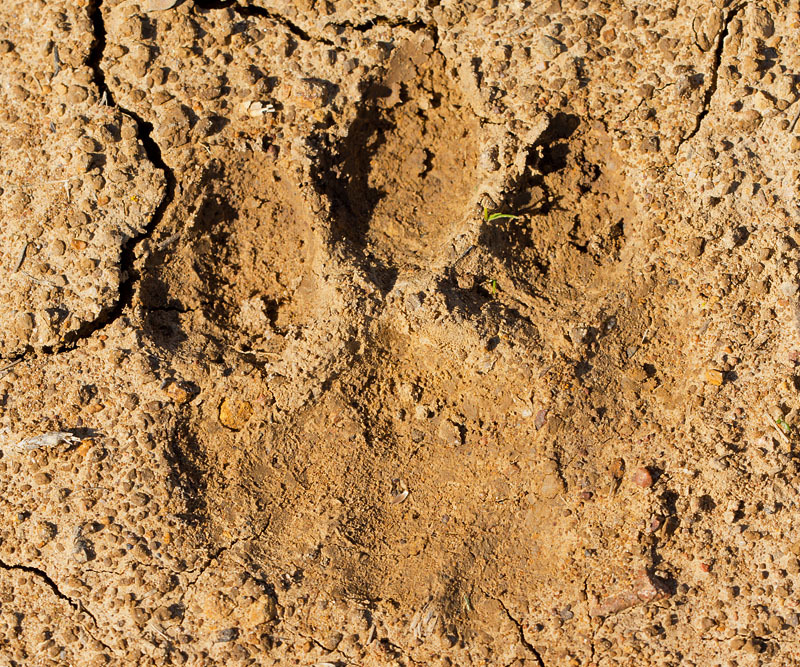 I would bet it spent some time there or in the area as it moved about its territory, I wouldn't jump to the conclusion that you found a spot where a mountain lion spends almost all his time at based on seeing tracks once. To survive these animals need to have a fairly large range, if they hung out in one spot they would run out of prey fairly quickly. 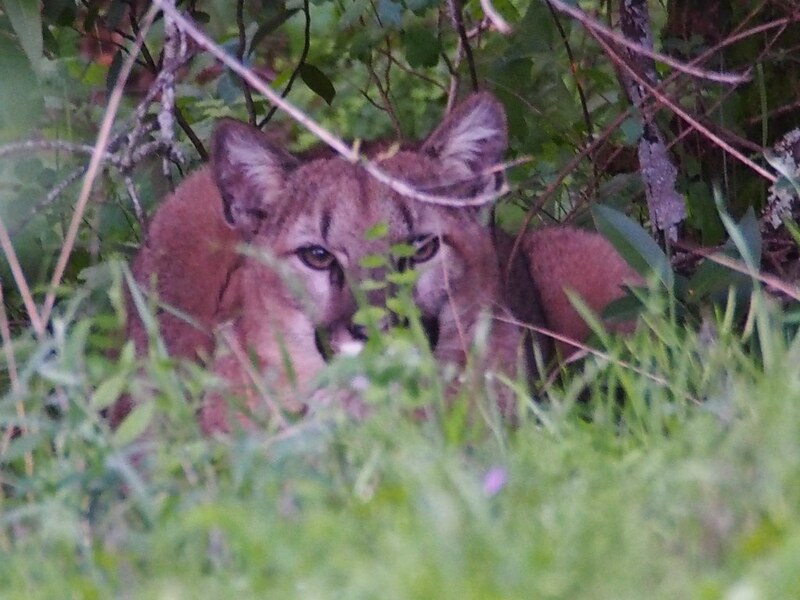 Seeing pumas isn't common but it happens once in a while with some luck, chances are they know you're there and lay low until you move on and you never even know. I haven't seen one, maybe one of these days... California is probably where they're most often sighted by people from what I have heard. In this area thats the only available cover for miles. like 20 square miles. And they are sort of land locked on one side. They're going to be where there's a steady food supply or they're going to roam with that supply. I have a good number of pigs and deer as well as cattle in the hills here, so we have a healthy cat population. They're is a lot of deer and coyotes and neighbors dogs. I will go there next year and will take pictures. 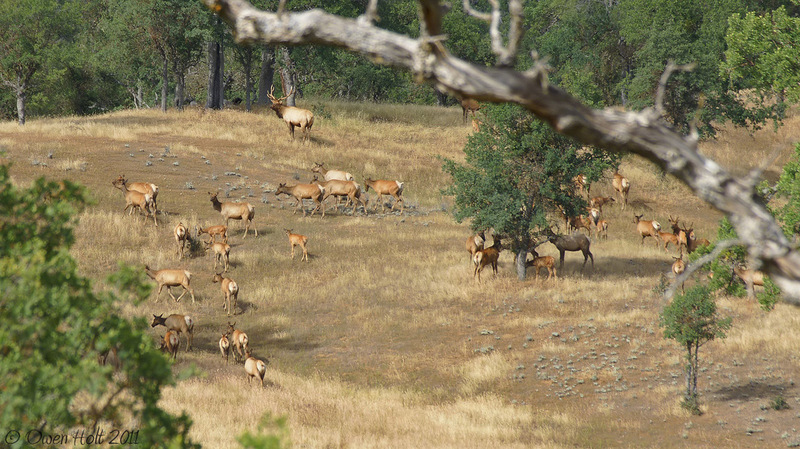 Nice Elk photo! 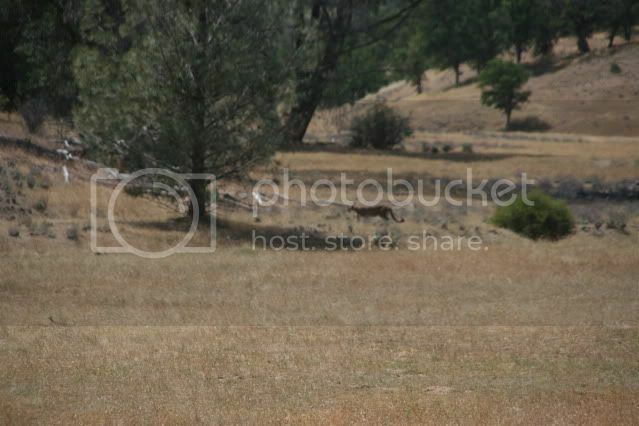 i remember on my way home from Sedona there were 3 elk on the side of the freeway. Just in case anyone missed it... They can travel REALLY far!! This summer a couple of friends and I went on a 50 mile backpacking trip in Big Sur. The first part of the loop we were taking was on an exposed side of the Santa Lucia mountains, facing the ocean, and we had to travel 10 miles without water... so we decided to do the first part at night. About 7 miles in, around 10pm, we were on a part of the trail the used an old fire road. 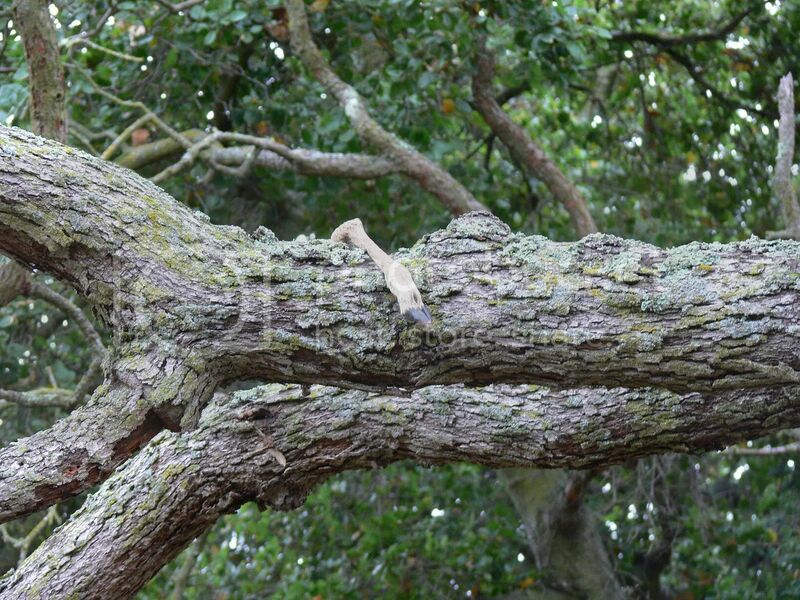 On the right side of the fire road there was a large madrone that was at an angle, hanging over the road. In it we saw what we first thought was a bobcat. As we got closer, and we shined our headlamps on it, we noticed it definatley was something else... it was a baby mountain lion. First of all, baby mountain lions are the cutest damn things I have ever seen. Second of all, it brings up the SCARIEST question I have ever had while hiking the backcountry, "Where is mama?" The three of us got the same idea, just keep walking, don't make any sudden moves, don't run, don't stop. For the next couple of miles we did hear something stalking us, the fire road was at the bottom of a slope which was covered in trees and we could hear rustling of leaves quite frequently. This was the first mountain lion I have ever seen, which was pretty exciting. My wife, when I got back to town and told her the story, asked if I got a picture, (it seems to be the most common question to the story). I still feel like the potential trade off for that photo would have made it a very bad trip, lol. A few years ago i was in a different canyon and i saw something on a rock while we were leaving and this thing was huge! i was joking around to my friend saying it was a mountain lion so we got out of there quickly and i looked back when we were on top of the hill and it was gone. I saw one while roadhunting in Los Gatos a few years ago. 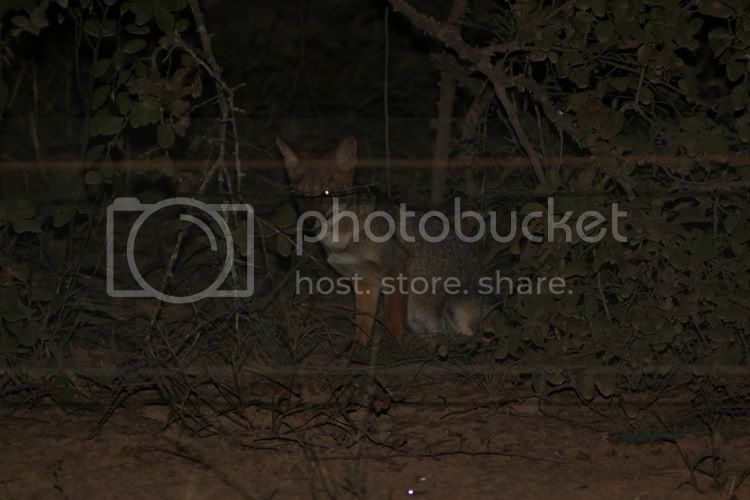 I wasn't able to get any pics, but it simply walked across the road, neither slowing down to see what was up with me stopping the car, nor speeding up to get off the road and into the underbrush. Pretty awesome sight to see. 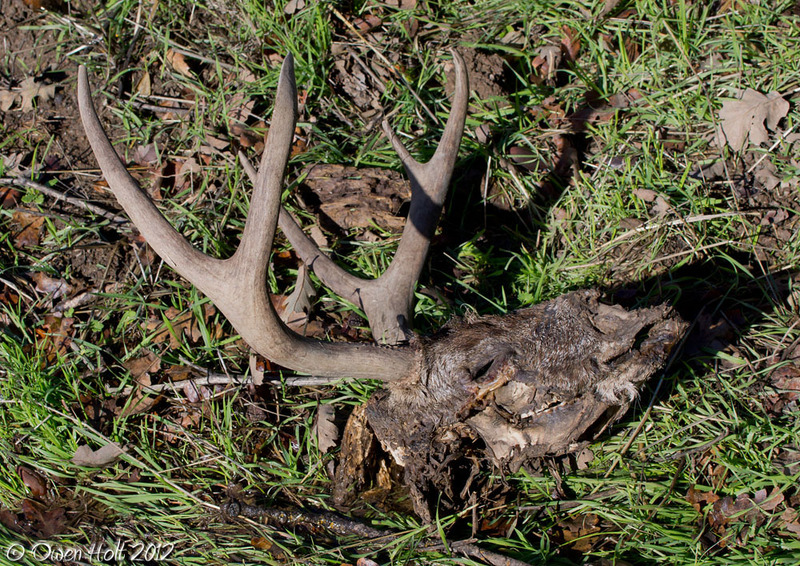 I remember finding a 2 point buck skull once. that was really cool. Nice photo! I'm just glad the zombie apocolypse didn't happen. Zombie deer would be gruesome. yah I would be really scared! That thing looks gnarly! I have been trying to get a mt lion shot too! I have seen 3 so far. All near my house. The last one jumped in front of me while I was driving home about 2 weeks ago. It jumped from the hillside, landed in the middle of the two lane and jumped to the other side in a single bound. AWESOME! I rolled my window down and we stared at each other a bit and of course I didn't have my camera. 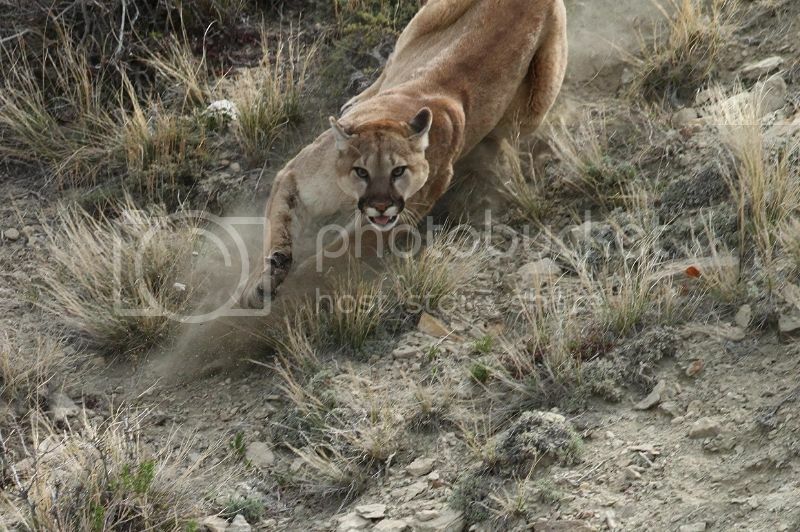 About a quarter mile away earlier in the year I saw a mountain lion walk into the creek from the road. I parked right away and ran over there with my camera but couldn't find it. I also heard 2 mountain lions calling each other while fishing one night. You could hear them getting closer to each other. Cool, but scary when you are fishing in the dark. At our horse barn I followed some fresh prints to a stand of oaks near a creek. I looked up and saw this leg hanging from the tree and 5 deer skulls, one dog skull, and something else small like a raccoon plus a bunch of other bones and spines. 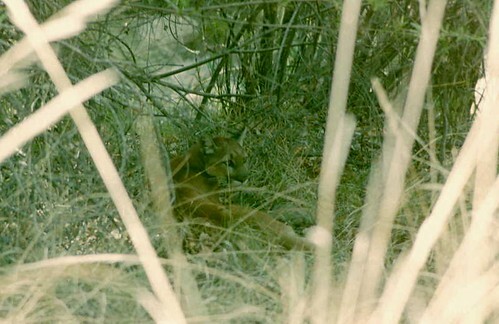 If you count Florida Panthers (Same species, probably not even really a distinct subspecies); I've seen/encountered 8. One when I was a kid (12 maybe) crossing Alligator Alley. And one more female that crossed the road on a night where a friend and I were discussing all of our panther sightings and I stated "You know, there's one that hangs out around this bend, a female that everybody I know that herps down here has seen except me." Not a minute late she crossed in front of us. 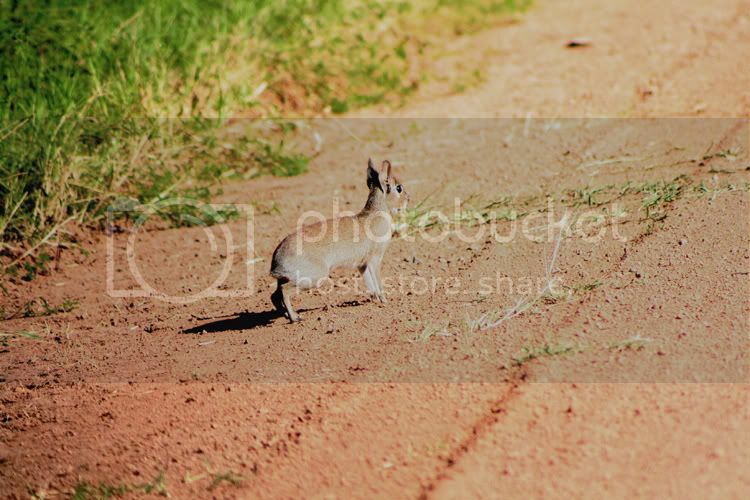 EDIT: I find, when I'm in good mammaling country, its best just to leave the camera with a long lens all set up for such encounters. It worked well for me a couple years ago in Paraguay. I have seen a few in the NW. I was actually jumped by an juvenile in Kettle Falls WA when I was 6. I guess I must be luck as I have only been to the US a dozen or so times and had an amazing encounter in Wyoming a few years ago. mark, every mountain lion should be killed. i lost half my herd every year to those darn cougars. 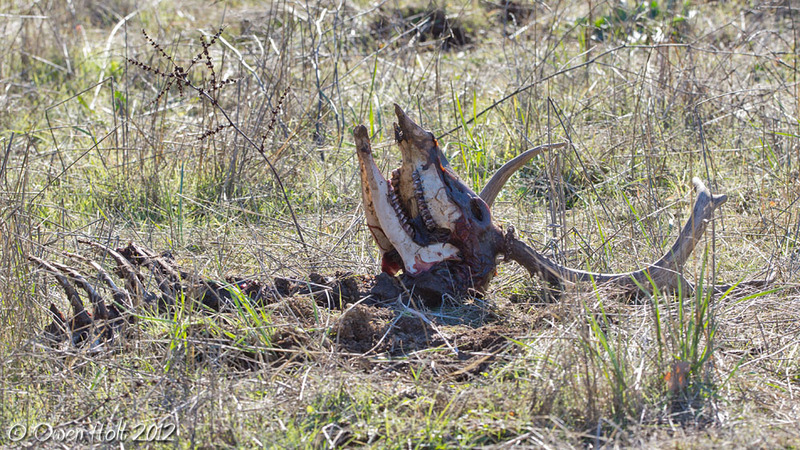 now that the wolves are back, i have no cattle left. the government repo'd my ranch. i sold my children for human trafficking, and my wife is turning tricks at a truck stop near bozeman. me? i'm doing time near billings for blowing up my meth lab. why does it matter if you are in a school zone? i don't get that part. you gotta go to the customer right? look, i gotta run. my 300 pound room mate "needs" me, and if i refuse, i bleed. let this be a lesson to all you tree huggers. nothin good ever came from an apex predator. caught me at an odd time. 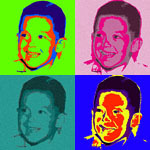 all i can say mark is sweet picture. most only get a glimps, but it seems you had a chance to watch. very nice. 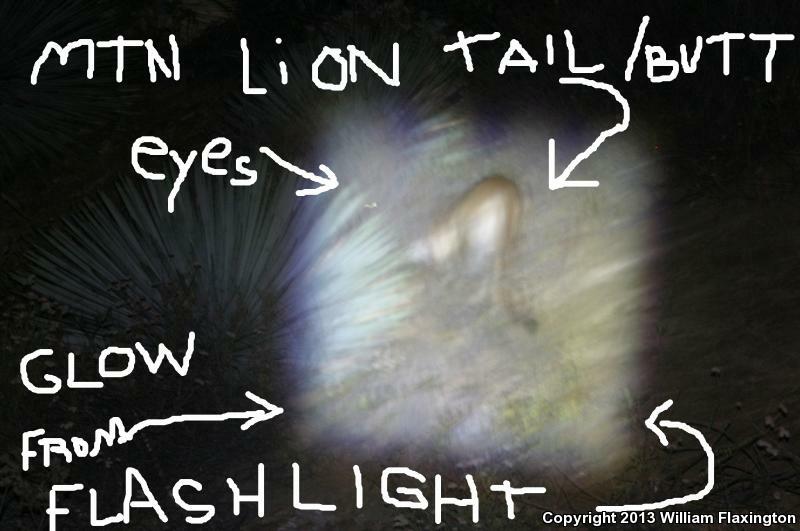 Last Thursday (11 July 2013) I saw two Mtn Lions in the San Gabriel Mountains. After nearly 2-dozen years and thousands of miles of driving wilderness roads, I encountered my first Mountain Lion as it crossed the road. It leaped up a steep cliff and I attempted to get a picture before it climbed to the top. Turned out to be a horrible shot. There were actually two Mountain Lions, one was heard calling from brush at the cliff top, and its eye shine could be seen. Main San Gabriel Canyon, just across the bridge that leads to E Fork. Congratulations on your encounter! Must feel very rewarding to finally see one (two). 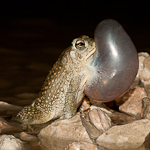 Personally, that would trump seeing any lifer herp in the U.S., for me. Looks like you two got pretty darned close to each other. Did it just stroll through your camp? Not in campsite. I was road cruising when one cat ran across the road in front of me. I was like, “that coyote is big with a long tail…WAIT! Mountain Lion! After crossing the road, the cat leaped up the cliffside and hid behind a yucca. It stayed there as I tried photographing it from in my car parked across the road. However, I could not get my camera to focus, so I got out, crossed the road, and tried taking pictures, but my digital camera still would not acquire the correct focus or exposure. I returned to my car, and could see eye shine of a second cat on at the cliffside. That cat, started calling for the other cat to hurry up and get to the cliff top so they can move on. I was able to watch the cats for about 5 minutes before they were over the cliff and out of sight. 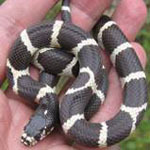 one was confirmed last week by the DNR in wisconsin. trail cam in florence county. good picture too. I am like many of you and have spent thousands of hours in the field over the years within Mountain Lion range and seen a total of 3. One was crossing the River Road as I was road cruising in Brewster County,Texas. This was just a back-legs-and-tail-hopping-over-the-guard-rail sighting. The other two were in the same place - the entrance road to the Calakmul Ruins in Campeche Mexico. Those two cats simply walked down the road in front of us when we drove up on them. They (it?) were clearly not used to seeing cars/people down in this isolated patch of rainforest. I was actually disappointed to see the Mountain Lion on that road since there are six species of Felid in that area of which I had only seen two and the mountain lion was one of those. Now there is a LOT more traffic on that road and I suspect the days of mountain lions walking down the road are gone. Found a scratching post of a tree on yesterday's creek hike. The scratch marks go up about 4ft. Owen, looks like a deer or elk rub. 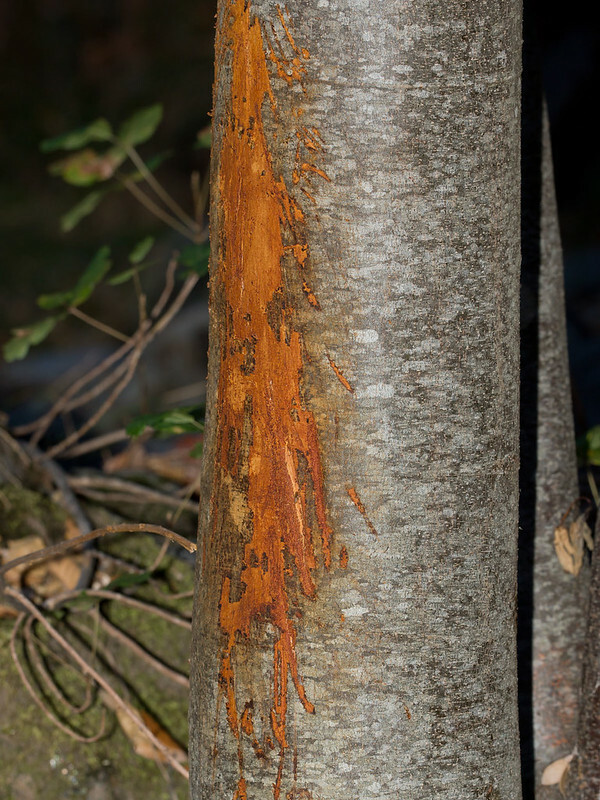 Cougar scratching posts are a rare find, and very rarely on vertical trees. 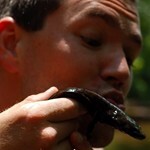 Typically on horizontal logs. 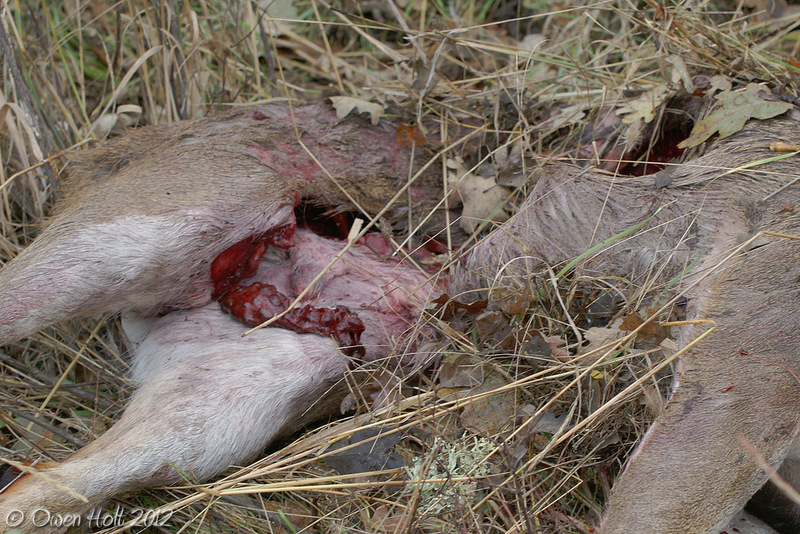 Their scrapes are much more common to see. My dad has spent over 50 years in the forest constantly as a very successful hunter and prodigious hiker, always on the lookout, mostly in Idaho and Oregon. He really knows what he's doing with wildlife and spends plenty of time in rather remote places. And he's seen none. They're common, but they do not show themselves very often. I've seen one in Kings Canyon National Park. My friend and I had hiked into a high valley and had just crested a hill and come upon some marmots in a boulder field at about 11,500 feet elevation. As we looked at the marmots suddenly we got a glance of something large that we seemed to have spooked, running between the boulders about 100 yards away. We only got 3-4 brief glances at it as it passed in-between boulders, and had to compare notes afterwards ("that was totally running like a cat!" "it had a long tail!" "it was tawny!") to be sure that we had both just seen a cougar. On Nov 2, 1987 I was tracking a cougar and had knelt down to examine a footprint and the cougar came up out of a gorge and we both froze, staring at each other from about 6 ft apart. After maybe 4 secs (seemed MUCH longer) the cat turned and silently vanished back into the gorge. This was at the edge of an Orange grove, and the cougar print was in some very clay-rich mud, so I scooped it up with a flattened pepsi can and set it on a window sill, where it 'cured' into a memento I kept for many years. I've tracked dozens on Vancouver Island but never saw a live cougar until I got to the relatively more open scrub of south eastern AZ. I saw a couple there but only got one photo. This young male was trying to stay cool in a shady dry creek bed at 3000 ft. He had initially been on the other side of this bush but was bothered by loud birdwatchers and came to my side of the bush and gave me one shot with his head up. There were three of us watching from behind a sycamore log and we were able to watch for 20 min before he spotted us and bolted (unbelievable speed). What an outstanding day and critter. This was a decade before switched to digital so here is a poorly digitized version. I live in Arizona and have only seen two in the wild. But they are pretty common. Hunters can buy a over-the-counter tag for around $20. Hunters harvest between 350 - 450 per year in Arizona and they are getting ready to make it two per year. Although most people never see one does make them rare in the least. For all the time in the sticks, I would think I would have seen a few more by now, but I have only seen three. One on a rock wall by my apartment at night in the town of Glenwood Springs CO, one along a dirt road south of Oracle AZ (quickly ran across the road and was gone), and this one collared female I spotted while flying in a helicopter near Reno NV. 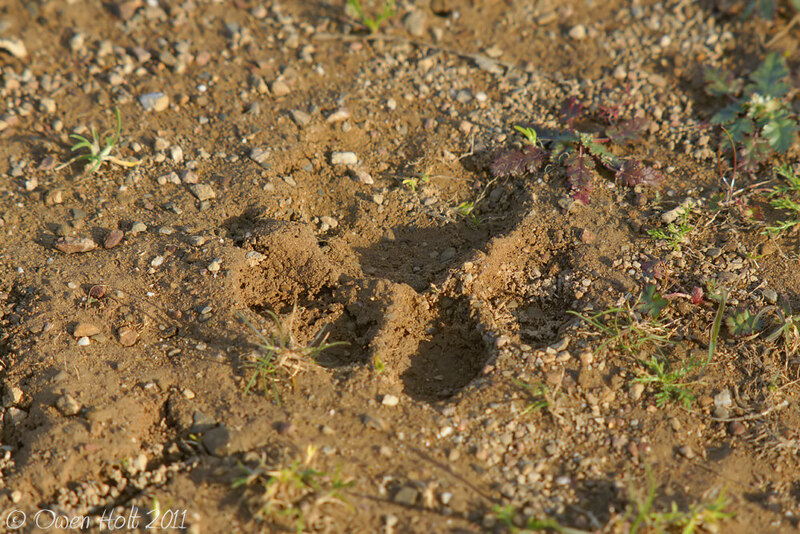 I have however, seen lion tracks plenty through the years. Once I was doing some bird surveys in a relatively old growth part of the White River national forest on Vail pass and it was a misty, light drizzle kind of a day and I had walked through some areas of untracked mud then through large areas of big trees with lots of dead and down (logs). The place just had that feeling of anything could be off in there. Almost Oregon like, wet, mossy, big trees area which are rare in Colorado. Lots of good hiding spots, water, plenty of elk and deer sign. Well, I doubled back after a while and came back by my set of tracks and right next to them I saw fresh lion tracks following mine. The hairs on my neck stood up. Anyway, here are the shots from near Reno. Here is an amazing shot my coworker Matt got during a bird survey. I am surprised he was able to get this from a helicopter. I have been hiking all over Santa Cruz and the bay area and never come across something like that! 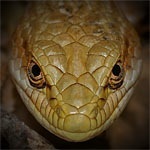 Did you have a long sighting where he just stared at you?! Amazing. Did you have a long sighting where he just stared at you?! Well, not too long, as she was, you know, staring at me. The whole sighting was probably not more than a couple of minutes, but it felt much longer. I'd stepped off-trail to water a tree, and she was about twenty yards downslope. I regrouped with my hiking companion before attempting a photo. The whole thing felt much longer than it probably was, and I'll be replaying it in my head for the next decade. JAMAUGHN wrote: Well, not too long, as she was, you know, staring at me. The whole sighting was probably not more than a couple of minutes, but it felt much longer. I'd stepped off-trail to water a tree, and she was about twenty yards downslope. I regrouped with my hiking companion before attempting a photo. The whole thing felt much longer than it probably was, and I'll be replaying it in my head for the next decade. Holy crap! I would still be looking over my shoulder, even safe at home and in my bed! I need to come by here more often.